There’s not much to say about the Treasure Pile and Altar of Evil. 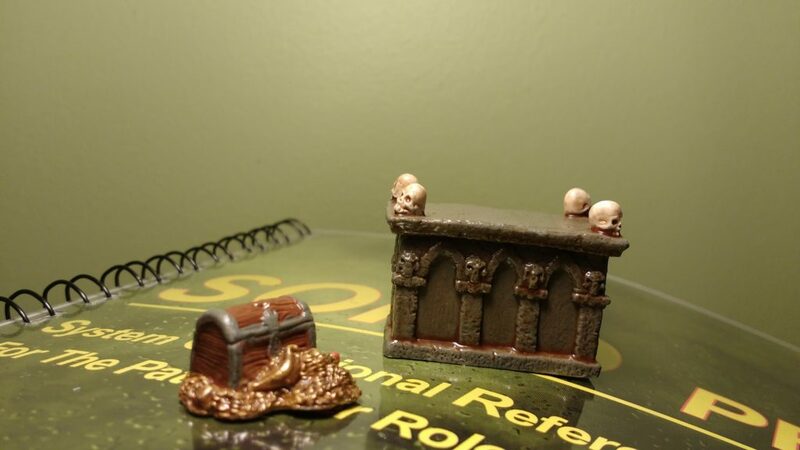 They were both from the original Bones Kickstarter and were straightforward to paint. I almost tried a wash on the Altar of Evil but decided to leave it to the DIP Method. It may not seem like much but having these two very commonly used pieces in color has added a lot aesthetically to our biweekly game.